Lionel Messi’s football skills have made him an icon and won him five golden shoes. It’s not only his golden feet that are making headlines though, Messi’s haircuts have been making a point of interest amongst fans. From long to short, bright to dark and facial hair Messi has had a whole team of cuts. Here are some of his best and most iconic haircuts of recent years. Lionel Messi haircuts 2018 are simpler than they have been. 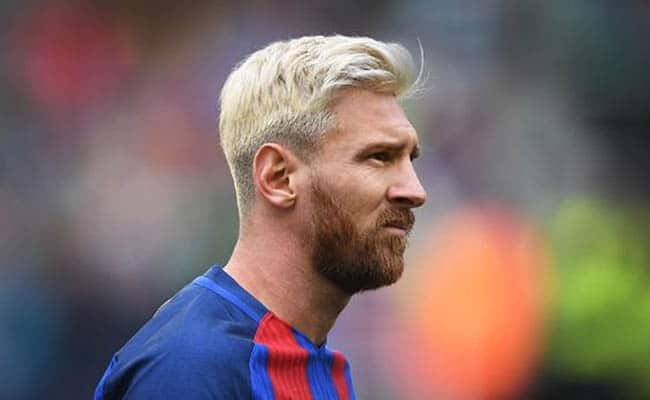 Messi’s new hair has been styled to the shape of his face well, by focussing on creating volume on top and having a thick beard he disguises and balances out his smaller chin. These pics of Messi highlight his recent short haircuts. From about 2017 Messi opted for more of a ‘normal’ look. With low impact this classic taper haircut suits the footballer perfectly as he enters his thirties. This short haircut was probably one of Messi’s most versatile. With or without beard it could also be worn messy or styled with spikes on top. Lionel Messi’s haircuts 2017 largely featured a thick beard. Not quite as clean as his new 2018 haircut, the beard that dominated 2017 was near unruly. Maintaining a beard can be a difficult and daunting task, which is overlooked in the struggle to grow perfect and even facial hair. 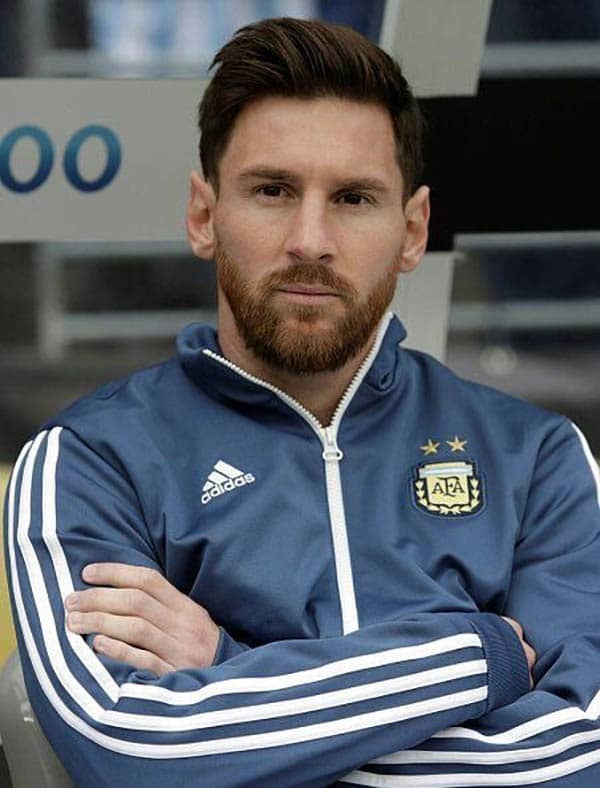 Messi’s beard like his hair has had many styles and this shorter cut is elegant and classy. It is neat, maintained and styled well. Back at the start of his career in the early 2000s Messi wasn’t so well groomed. Styling fluffy mullets and mops the footballer rose to top of his game joining the likes of David Beckham and Alan Smith with the classic Alice band. Perhaps it’s like Samson and the all the power was in luscious long locks back in the noughties. 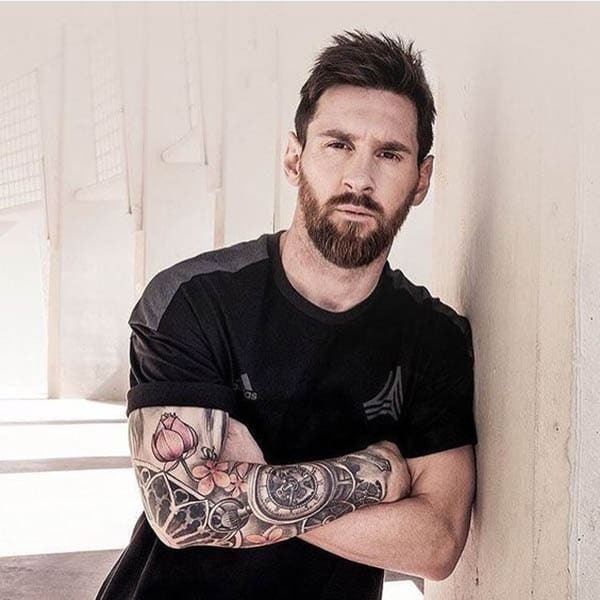 Messi did lead Argentina to Olympic gold in summer 2008 and was a spectacle when he stood on the podium with the long locks similar to that of Jesus and Samson. It was only a few years before this that he had been mini me of Ashton Kutcher with a messy mop. 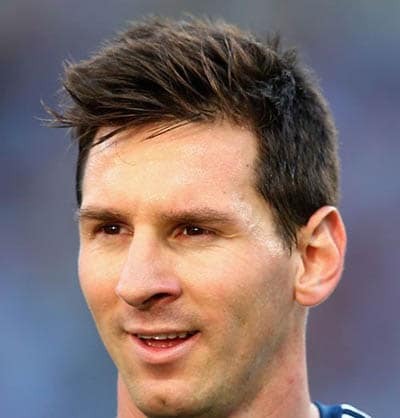 Growing out died hair is a particularly awkward stage, especially if it is as bright as Messi’s white blonde hair. However, he made the transition appear so easy, and there was still plenty of Messi wallpaper hd on every device imaginable. The blonde tips brightened his face and contrasted well with his red beard. Messi has had many haircuts and his most recent classic cut is as popular as ever. 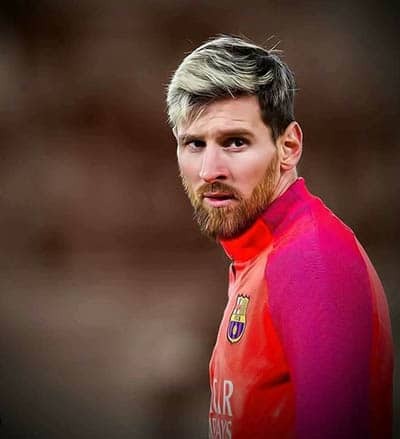 From short to long hair, facial hair to clean shaven and natural to fake Lionel Messi has styled it all. You can shop all grooming products here.